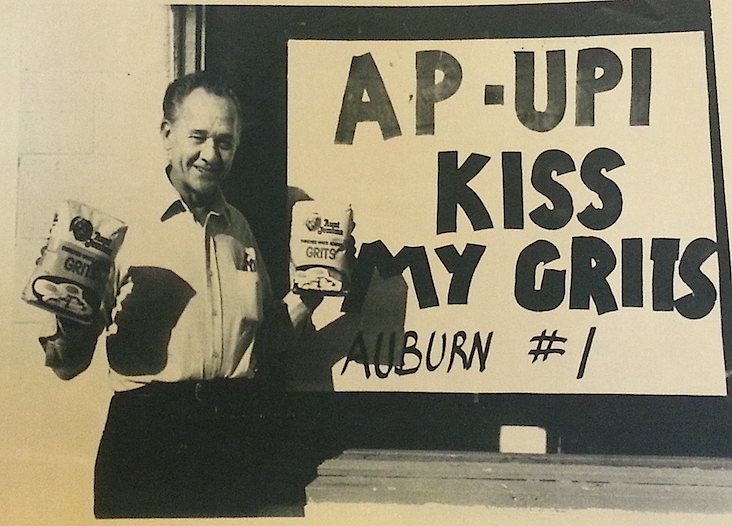 Here’s Phenix City’s Jesse “War Eagle” Fincher on Jan. 4, 1984, folksily expressing the feelings of Auburn fans everywhere toward the national media… except the computers at the New York Times which had Auburn ranked No. 1 before and after the Tigers beat Michigan 9-7 in the Sugar Bowl. AP and UPI had us at No. 3. Kiss our grits. Kiss his grits. Related: Watch the entire 1983 Iron Bowl.